WHoa! Be warned Nerdz there’s a 9GB day one update for Halo 5. 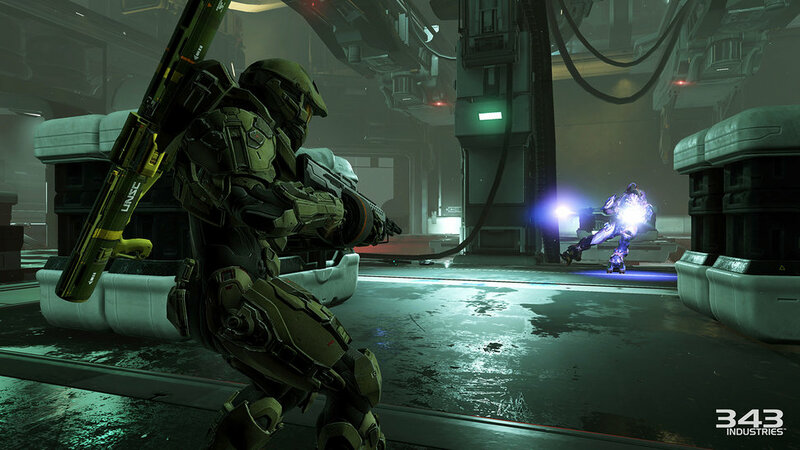 It adds multiplayer to the game, 343 studio chief Josh Holmes said. Specifically, map content for the Arena multiplayer mode as well as the 12v12 Warzone multiplayer mode. the update will be available to download before the Xbox One exclusive first-person shooter goes on sale on 27th October. If you have the Power Setting for your Xbox One set to “Instant On”, you’ll automatically download the update on 22nd October, so it’s ready for launch. That’s for those who “pre-download” Halo 5. If you buy the physical copy you’ll download the multiplayer update automatically after you install the game on your Xbox One. So, depending on your internet speed, and, of course, the state of Microsoft’s servers on the day, you may need to wait a while before jumping online. Meanwhile, 343 has detailed Halo 5’s clan support. Companies is a new feature you’ll use to meet, recruit and organise players and matches in a single, custom-created Company (your Company name will show up in-game). Of note: 343 is encouraging players to get stuck in with Companies by offering a free REQ Pack to those who either join or create a Company of at least four Spartans. The video, below, shows how Companies work. Enter your email address to subscribe to NA and receive notifications of new posts by email.